The government has suggested several proposals to help boost the property market. The main focuses are to help speed up the conveyancing process and help restore consumers’ confidence. At present this is extremely rare as there is much room for a conflict of interest. How can a conveyancer act in the best interest of the seller and the buyer when they have competing objectives? The SRA states that solicitors cannot act where there is a conflict or a significant risk of conflict. As such, it is highly unlikely that this proposal will take off. 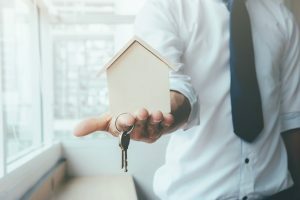 Estate agents often recommend certain firms of lawyers, but consumers may be unaware that the law firm may pay the agents a fee for introducing the new client. The estate agents’ recommendation is not based on good service and customer satisfaction, but based on the fact that they will receive a kickback. Banning referral fees will increase competition and improve standards. Coole Bevis does not pay referral fees. At present, title documents can be obtained relatively quickly and easily online from the Land Registry. The government wants to ensure that other information concerning a property can be obtained quickly too i.e. public sector data sets could be released. The government is looking at ways to help develop electronic conveyancing and embrace new technology, all in the hope of speeding up transactions. If consumers are educated on the steps involved in the transaction, they are likely to find the buying and selling process much less stressful. Sellers will understand the importance of supplying information about their property quickly and clearly. Buyers will understand the importance of obtaining their mortgage offer and commissioning a survey as soon as possible. We provide guides to our clients already. All sellers need to complete a ‘Property Information Form’ which sets out important information about the property i.e. whether there have been any disputes, what building works have been carried out, whether the property has the benefit of any guarantees, if there are environmental issues and what rights the property benefits from. If a potential buyer saw this form prior to making an offer on the property, they may be able to make an informed decision on whether to proceed or not. This was tried before with Home Information Packs that were later withdrawn as they proved not to work. Currently, before exchange of contracts, a buyer or seller can withdraw from a transaction without any financial penalties. The government believes that introducing penalties for withdrawing from a transaction may increase consumer confidence and increase trust between buyers and sellers. The payment of a reservation fee (paying a non-returnable deposit) or entering into a contractual agreement (i.e. agreeing to purchase the property subject to a satisfactory survey) means that it is harder for individuals to pull out of a transaction as they will suffer a financial penalty. It may reduce the risk of a buyer being gazumped – but only if the penalty is significant and enforceable. In conclusion, the government’s proposals are a positive step but do not address the fundamental issues. Also, ensuring lenders respond more quickly would be a significant help but such a proposal has not been suggested. Only time will tell whether the proposals will boost the property market. To make any significant impact it is likely that the economy will need to pick up first.